For the past year, our daughter-in-law, Christa, has been volunteering with a local organization, Central Valley Justice Coalition. CVJC is a faith-based nonprofit organization made up of churches, agencies and individuals who are working to prevent human trafficking here in the Central Valley of California. Their goal is to not only educate individuals and organizations on the issue of human trafficking, but also to provide safe places for victims, survivors and their families. Christa is a gifted communicator and is active in their education seminars, which strive to dispel the myths involving human trafficking, as well as signs to look for when having contact with a potential victim and ways in which to help. When I learned that there is a safe house here in Fresno, housing six survivors at a time, I wondered how I might contribute. It is no surprise that my first thought was to make quilts for the current residents of the safe house. 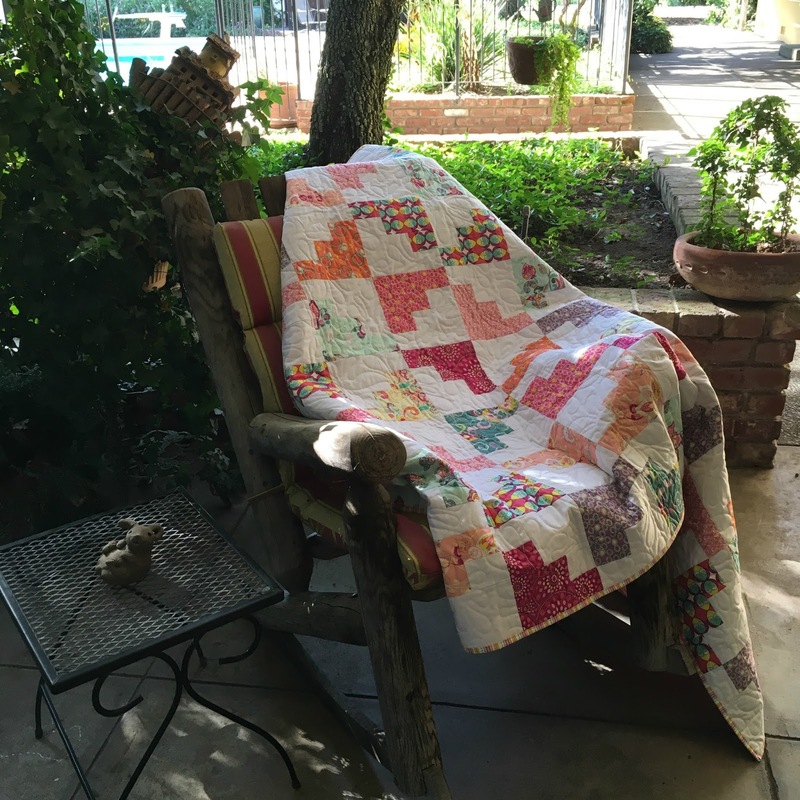 I have quilted for many years, and have stacks of quilts. 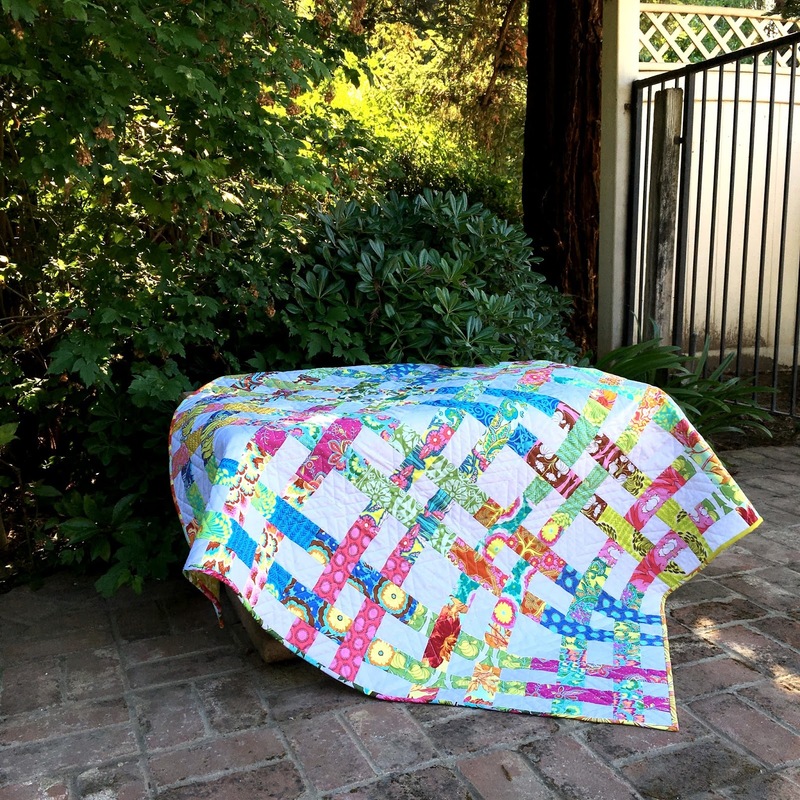 Of course it frequently crosses my mind that Mark and I do not need more quilts. But the beautiful fabric keeps on calling my name and new patterns are begging to be made. 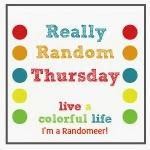 This is a way for me to answer the call and hopefully bring some sense of caring and beauty to a girl or woman who might be battling with low self-esteem and the belief that no one cares. So my original intent was to make six quilts as quickly as possible. My good friend, Deborah (@missluella1 on Instagram) offered three of her beautiful quilts, and I just finished the binding yesterday on the three quilts I made. 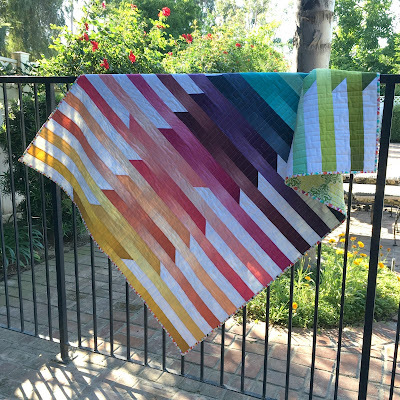 The first is The Cascade Quilt by Kristi Schoeder of Initial K Studio. 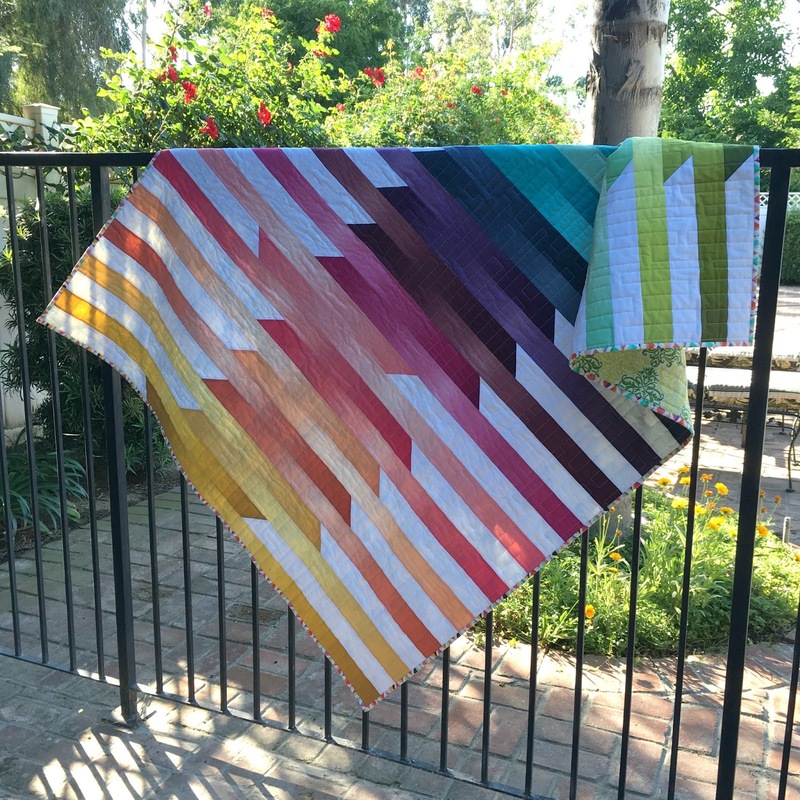 I made this with a jelly roll of ombre solids by V and Co. I love this quilt so much. I might have purchased another jelly roll after I made this one so I can make another. The other two patterns are by Allison Harris of Cluck Cluck Sew. She is one of my favorite designers and I have had the chance to pattern test for her in the past. I emailed Allison to let her know my plans and that her patterns were perfect partners to the fabrics I was planning on using. I wasn't asking for anything as I have a large collection of her patterns already--I just wanted her to know my plans and that she was a part of my plan as well. She generously sent me a couple of pdfs to add to my collection, which I will definitely be using for future quilts for the safe house residents. The first is Basket Case, using a jelly roll of Soul Blossoms by Amy Butler that was just waiting for the perfect project. The second is Hello March, using a fat quarter bundle of Sugar Collection by Art Gallery Fabrics. 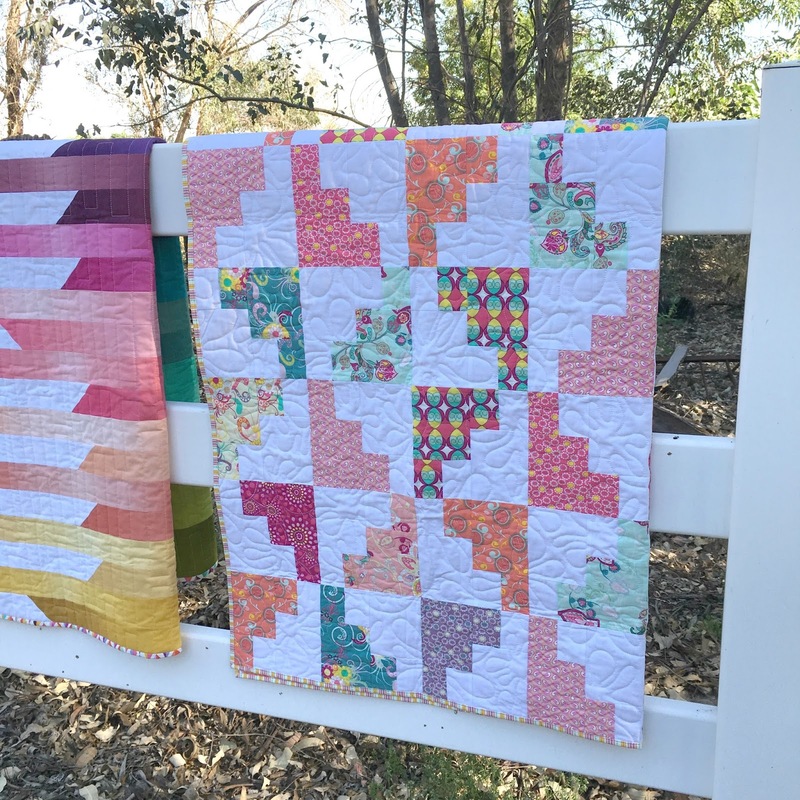 I practiced machine binding on these three quilts, using the excellent tutorial by Rita from Red Pepper Quilts (highly recommended, by the way). 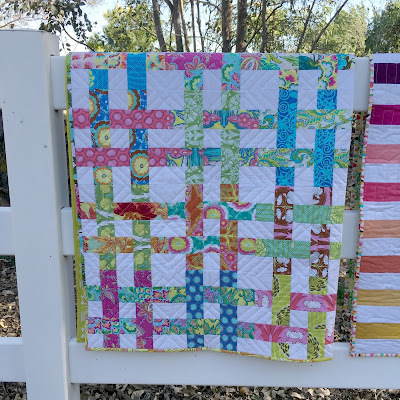 I have no idea where the safe house is located, and I will never meet the woman who end up with these quilts, but my hope and prayer is that they provide beauty and comfort to survivors of human trafficking. So kind and generous of you Cindy (and Deborah too). Honored to call you friends. Really beautiful and cheerful work! Sometimes we can't fix the bad stuff that has happened to people, but we can try to help them have hope going forward. What a wonderful way to contribute to this project and the hope it is offering these women. Beautiful quilts for a beautiful cause. Oh lovely! Please, can they use more quilts and handmade items? I've contacted Restore Innocence a few times about donating items but they never responded. 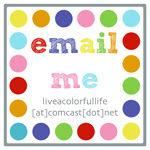 I crochet (hats and scarves right now) and quilt and need somewhere to send the extra finished projects. Does it get cold enough in Fresno for hats and scarves? Thank you for sharing, Cindy. For sharing you words (you are a great communicator as well and you explained the work of CVJC flawlessly), for sharing of your time and talents through your quilts, and also sharing of yourself with time spent watching your grandkids on Thursday mornings to enable Christa to be helping in the CVJC office. The work of CVJC is furthered by you in more ways than you can imagine, and it doesn't go unnoticed. Thank you! What a fabulous cause! 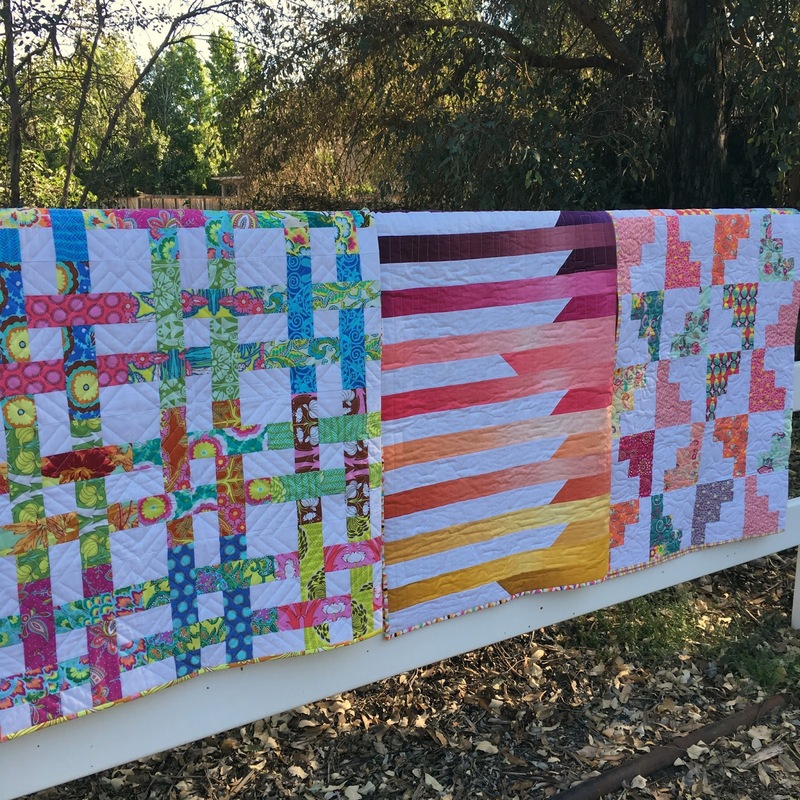 Your quilts are beautiful and will provide the warmth and love so many people have never experienced. May God bless you and CVJC. Beauiful quilts and I know they will be well received and appreciated. Nothing better than donating to a great cause and thank goodness there is an organization like that! Those are beautiful and will be such a bright light in the lives of those affected. Beautiful quilts, and so nice that you will be brightening a corner of the world with your makery. 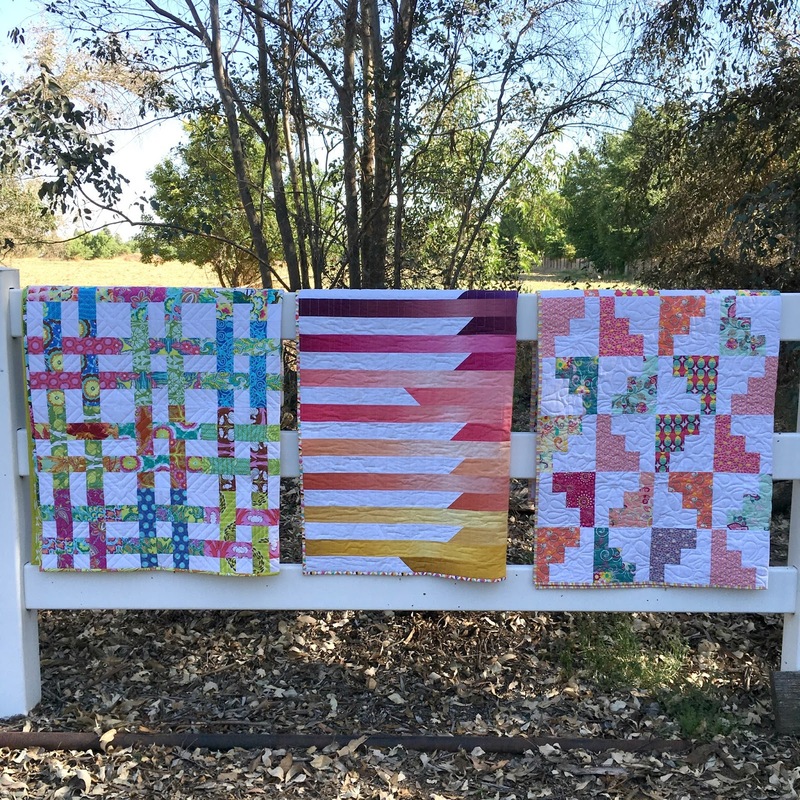 Beautiful quilts for a great cause.